2 Beds 3 Baths 1 Partial Bath 1,252 Sq. ft.
Sarasota Downtown/Marina opportunity! This two-bedroom, two-and-a-half-bath condominium at Hudson Harbour is a rare find at this price point. 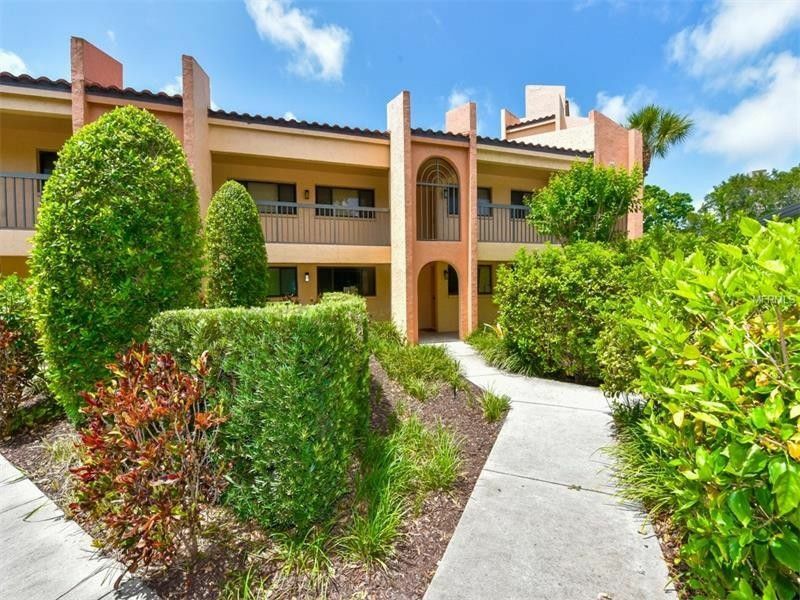 Located near the heart of downtown Sarasota and a short distance from Marina Jack waterfront park and Burns Court. This home is a ground level, multi-story condominium which features an open floor plan with the potential of two master suites. Come and enjoy the dual-screened patios on the first and second level which overlook the lush green landscaped grounds, fountain and the community pool. This home is turnkey furnished and is ready for your personal touch. Click on Virtual Tour for more photos. Make your offer now! Directions: U.S. 41 and take a left on Mound Street. Turn left on Hudson Ave and take immediateright. When entering the development take a left and follow the road around the complex to the back.Unit 105 is located toward the rear/end of the development.